Today I'm over @ Dear Author with my review of the first book in a new urban fantasy series I've been circling for awhile. 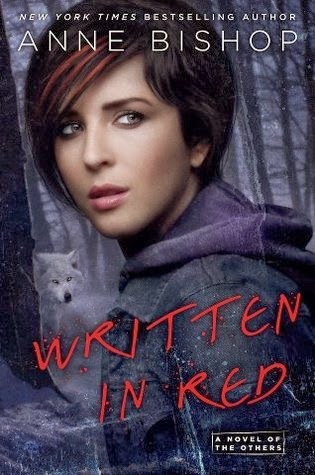 Written in Red is the first in Anne Bishop's Others series. A string of solid reviews induced me to give it a shot, and I'm really glad I did. OH GOD I LOVED THIS BOOK. (sorry) I've read it three times already, and I feel 100% validated to see that you liked it too. Lol. No apologies necessary. I'm still sort of grinning over how much I enjoyed it. So glad it's not long before the next one's out!